Back in May, the New York Post interviewed Metallica frontman, James Hetfield, and they asked him how he felt about celebrities wearing the band’s shirts, as a fashion statement. 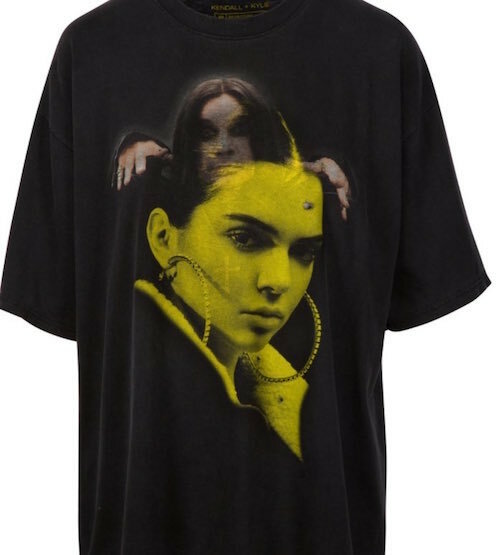 Kylie and Kendall Jenner have apologized for selling “vintage” T-shirts with the pair’s faces superimposed over some of rock and rock’s biggest icons. 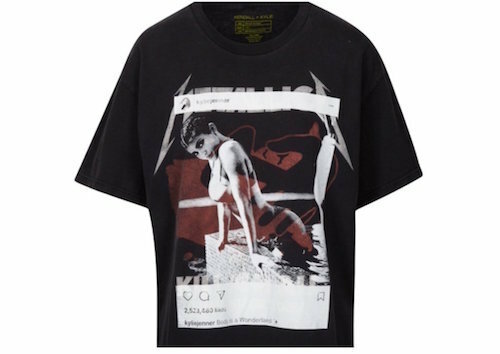 The T-shirts in question were unveiled on the sisters’ Kendall + Kylie online shop Wednesday, and featured images of Ozzy Osbourne, Metallica, KISS, Led Zeppelin, Pink Floyd, The Doors, the late rappers, Notorious B.I.G. and Tupac Shakur, overlaid with Instagram shots of the model/reality star siblings. Voletta Wallace, Notorious B.I.G.’s mother, criticized the Jenners in an Instagram post while a lawyer for the rapper’s estate threatened legal action should the shirts, which were on sale for $125 each, continued to be sold on their web site. In the post, Wallace also claimed that they had not been contacted with a request to use his image. Jampol added the surviving members of the band had “zero contact” with the Jenners. Forgive me for saying this, but I am highly skeptical. that they are genuinely fans of Ozzy and Metallica. Dana 300 dollars for vintage tees damn I wonder if my old Guns n Roses T-shirt I got from the 88 Guns Deep Purple and Aerosmith show at Giants stadium. I got from one those people who sell the knock offs I did buy an Aerosmth shirt that I customized. Hell that was one of the best shows I ever saw! I am sure they may be worth more than you know. I don’t think their fans of any type of music only themselves. The worst part of all of this is my 12 year old wears my Screaming For Vengeance and Number of the Beast T Shirts and he’s worn the crap out of them. Geez I’m almost as dumb as a Jenner. Lol!! You’re not dumb, how would you know they are fashionable commodity? Let’s be honest here. These two girls (Kylie, who I’m convinced is actually retarded) had nothing to do with these shirts. This – just like all other things Kardashian/Jenner – is the work of Kris Jenner. For all the credit she gets for being such a scary marketing/business genius, using other artists’ images without permission and then superimposing their their own was just an arrogant move or a stupid move…or both. The two sisters apologizing was just a PR move orchestrated by (you guessed it!) Kris Jenner. Also, her batting average this year hasn’t been so good. Anyone remember the Pepsi commercial fiasco? I am sure you are a thousand percent correct, that the ultimate pimp, Kris Kardoucheian, was the “brains” behind this asinine idea. That being said, one would think she would have known the legal ramifications, of using these images without permission. Additionally, these girls aren’t brain dead (although, an argument could be made there), I am sure they knew they were going to receive major backlash for trying to profit off the images of iconic musicians and their logos. Although this trashy family seems to feel there is no such thing as bad publicity, this little stunt, surely proved otherwise.